Cincinnati Bengals linebacker Vontaze Burfict had his suspension reduced on Wednesday. The NFL has reduced Cincinnati Bengals linebacker Vontaze Burfict’s suspension from the original five games to three, according to Ian Rapoport. Burfict was suspended for what was deemed to be an illegal hit during the Bengals’ second preseason game against the Kansas City Chiefs. #Bengals LB Vontaze Burfict had his suspension reduced from 5 games to 3 games, a source said. He was informed today. 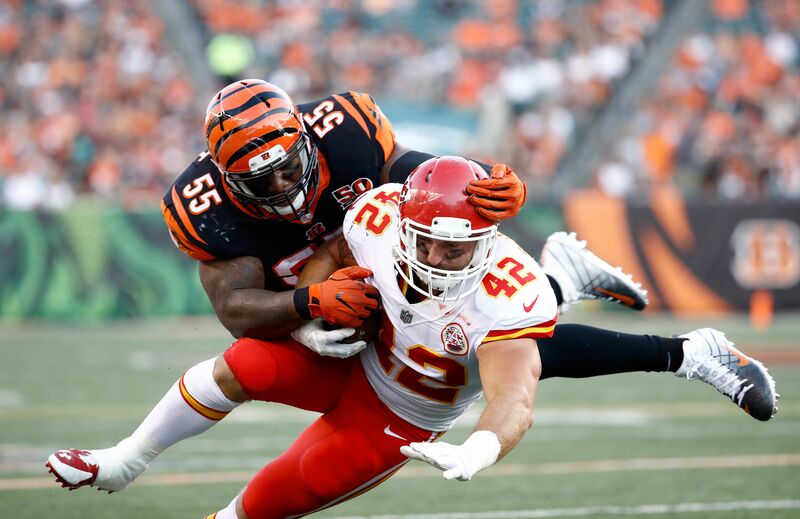 Burfict laid the hit on Chiefs fullback Anthony Sherman early in the first quarter, and while it wasn’t the prettiest of sights, you could argue this to be a legal hit. This isn’t the first time Burfict has been in trouble with the league for an illegal or otherwise “dirty” hit. As you may recall Burfict was suspended for the first three games last season after the hit he laid on Antonio Brown in that insane playoff game against the Pittsburgh Steelers. That hit was completely illegal and dirty, but this one is debatable. Sherman is within five yards of the line of scrimmage, and it’s Burfict’s job to take care of whoever comes across his zone within that five yards. This also isn’t the first time he’s hit someone coming over the middle of the field either. Burfict was fined $50k for a bone-crushing hit on Baltimore Ravens tight end Maxx Williams back in Jan. of 2016. The list really goes on and on with incidents involving Burfict so there is history there, and while a plethora of guys get suspended for helmet-to-helmet hits Burfict seems to be the only guy that manages to get himself suspended. As for the Bengals themselves, they’ve been without Burfict to start the season before. In addition to his three-game suspension last season he started the year on IR with a designation to return, and only played 11 games last year. When he’s not hurt or suspended Burfict is a key cog in the Bengals defense, and after missing the playoffs last season, they’ll need him if they plan to return to the postseason.